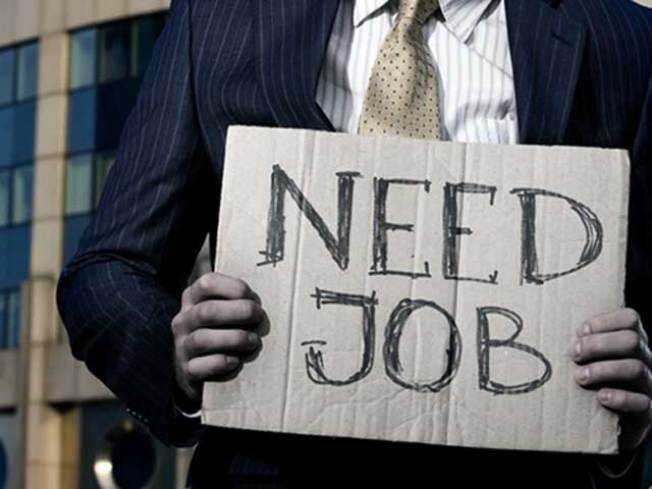 An estimated 8.4 million people who lost their jobs to the recession. The government’s report on the job market in January offered fresh hope that the economy is at last pulling out of its worst downturn since the Great Depression. For the estimated 8.4 million people who lost their jobs to the recession, however, the data offered little cause for celebration. Friday’s report left many economists, investors, employers and job seekers scratching their heads. The Bureau of Labor Statistics found in its survey of large employers that some 20,000 jobs were lost overall in January. But the separate survey of households showed a gain of more than a half-million jobs, which pushed the jobless rate down sharply to 9.7 percent from 10 percent. The report also included a number of adjustments, including a revision of last year’s data that showed the economy shed 1.4 million more jobs last year than originally reported. The speed with which companies shed jobs last year dramatically outpaced the last three recessions. Two years after the recession began in December 2007, U.S. payrolls shrank by 6 percent — double the contraction seen in the 1981-82 recession. Some forecasters think last year’s historic spree of layoffs means the economy is poised for a surge in job growth as the recovery takes hold this year. There were some early signs of that in the January data, including a nice pick-up in temporary jobs and a drop in the number of people who told the BLS they were working part-time but wanted a full-time paycheck. “I think if we just have a little patience here within the next three to six months we're going to be seeing substantial job gains," said Michael Darda, chief economist at MKM Partners. But most of the 8.4 million workers sidelined by the recession will likely need to wait more than six months to get back to work. The economy needs to create 100,000 to 125,000 jobs a month just to keep up with the growth of the population. “I don't think we're close yet to even a stable rate at this point,” said Mark Zandi, chief economist at Moody’s Economy.com. “We have yet to see any hiring. Until we get real, positive, substantive job growth, it's hard to conclude this is a self-sustaining economy." Even if job growth returns to the pace of the boom years in the middle of the last decade, it would take years to create the millions of new jobs needed to bring employment back to pre-recession levels. It also remains to be seen whether the economy will continue moving forward even after massive government stimulus spending begins to fade later this year. The hope is that the surge in public spending will the keep the wheels of the economy turning, including business investment, consumer spending and export manufacturing. So far, the plan seems to be working. The economy surged ahead at a strong annual rate of 5.7 percent in the fourth quarter of last year, as measured by gross domestic product. But the growth pop was largely based on the large checks written by the U.S. Treasury and other governments around the world, according to Gross. Concerns about the swollen federal budget deficit and rising national debt may also curb enthusiasm on Capitol Hill for White House proposals to boost jobs. The latest package would include yet another extension of unemployment benefits to cope with the large pool of workers who have been out of a job for more than 27 weeks. That number rose to 6.3 million in January, up from 1.3 million when the recession began. The impact of federal spending has been blunted by several factors weighing on economic growth. Though credit has begun to ease somewhat, lenders and investors are still extremely skittish about lending after losing hundreds of trillions of dollars in bad bets on faulty home mortgages, bad private equity deals and overpriced commercial real estate. Business investment has begun to perk up, but companies are waiting for more convincing signs of recovery before they commit precious cash to buying new equipment and expanding operations. While federal spending has expanded dramatically, state and local governments are still cutting back as the recession, and falling home prices, have cut deeply into tax revenues. Households are still working off high levels of debt; a third of homeowners with mortgages owe more than their home is worth. That drag on consumer spending has dampened the effects of government spending. And the high rate of foreclosures, expected to increase again this year, continues to put pressure on the housing market. Aside from the depressed levels of new home construction, the weak housing market dampens demand for all of the goods and services that comes with the purchase of a new house. Once those forces are reversed, the economy will likely begin generating new jobs to meet renewed demand. But even after the monthly job numbers turn positive, it will likely feel like a recession until those 8.4 million workers are again collecting a paycheck. “With the unemployment rate likely to be elevated for such a long time, the kind of angst out there and dissatisfaction and discomfort is going to last for a very long time,” said Meyer.